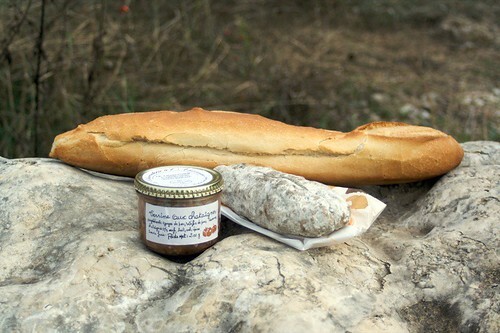 Lost in the countryside, far from any “big” town, the only thing open is the local épicerie, what do you do? 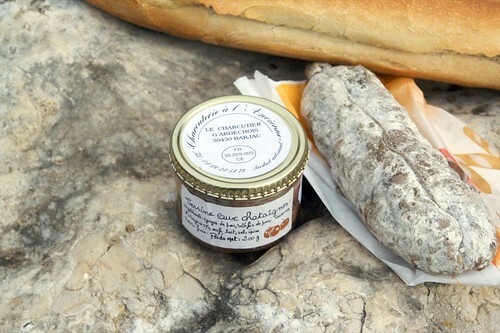 Well, you simply enter the épicerie (the local supermarket) say “Bonjour!”, and look for all you can possibly use as a lunch: bread, saucisson de campagne (a rustic, countryside salami), terrine aux chataignes (a chestnut terrine). Find a nice spot, near a river, or a prairy, or a meadow, lay on the grass, and eat!